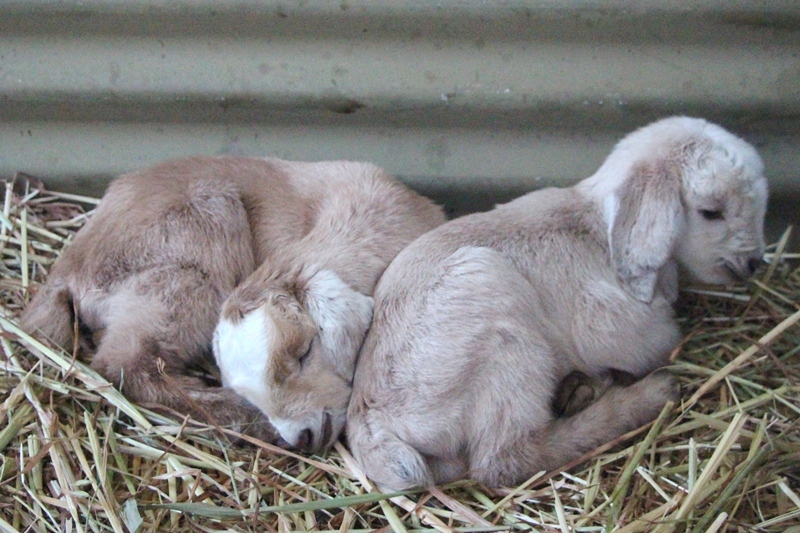 The kids were still sleeping when I went in to feed the Goats at 6.45am. Still as cute as anything. Midge seems to be a very relaxed mum and is quite happy with me stroking the little ones. They are even softer now they are all dried off and warm. Crumpler’s ears still have creases in them, but they are not quite as curled up.